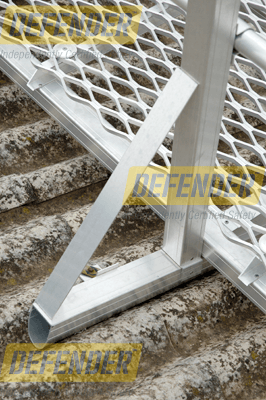 Maintenance-free, always ready for use and built to last, Defender™ walkways are the simple and safe way to access roofs and plant. 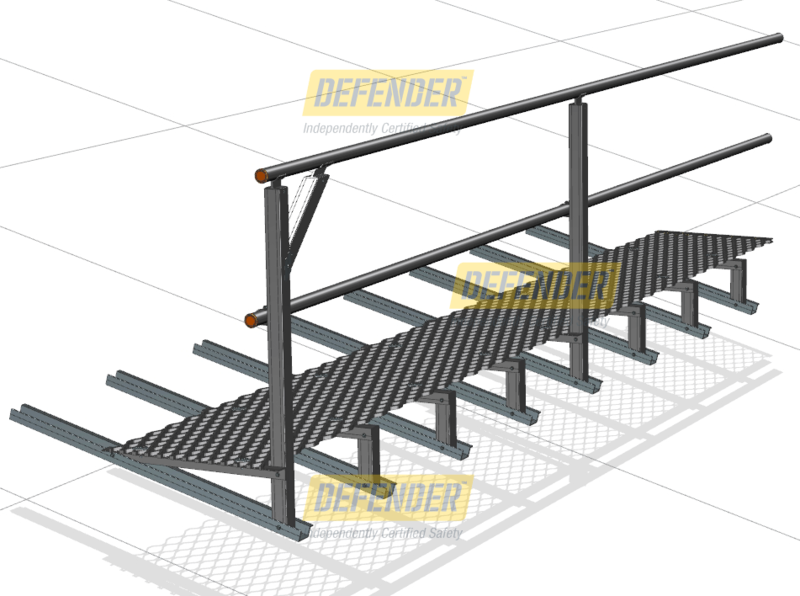 So you can be sure your people are protected and your liability is minimised, Defender™ walkways comply with AS 1657: Fixed platforms, walkways, stairways and ladders – Design, construction and installation. In fact, walkways are preferred by state workplace safety authorities over most other types of fall prevention, like roof anchors, static lines and harnesses. Read more about how walkways fit into the hierarchy of controls. 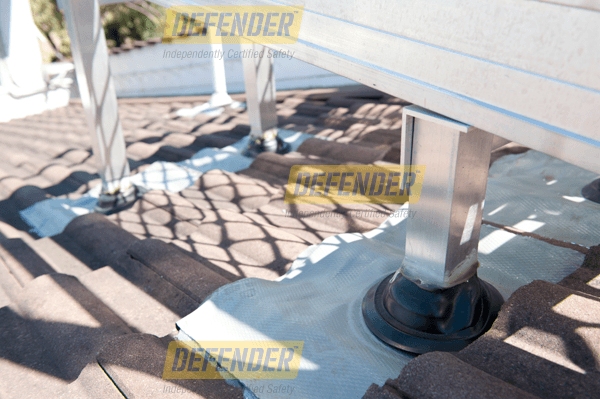 Defender™ walkway and guardrail systems are engineered for structural soundness and to preserve your roof’s waterproofing. 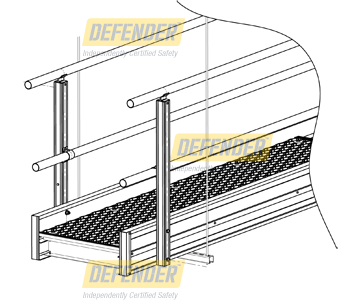 Defender™ walkway and guardrail systems are warehoused in kit form to suit all the popular roof profiles, ensuring short lead times for your installation. 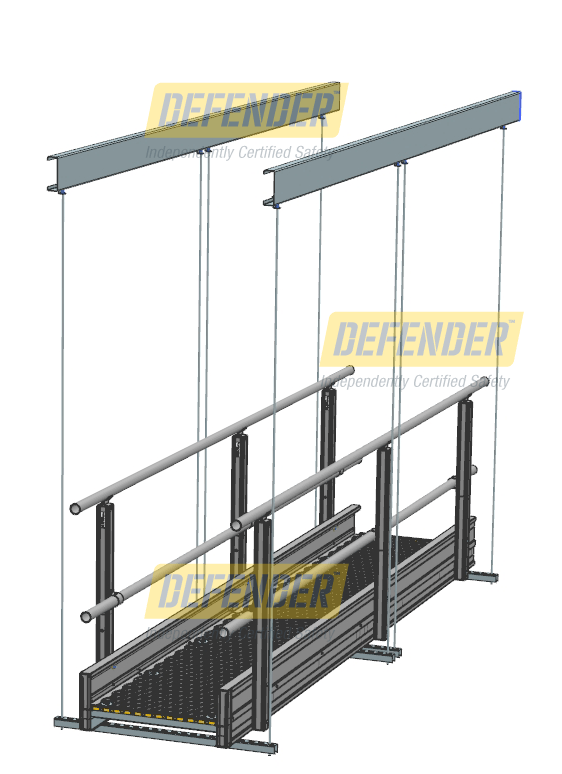 The walkway’s structure is made from non-corrosive aluminium and 316 stainless steel. All steel components are hot dipped galvanised. No matter what your roof type, there’s a Defender™ walkway to suit. 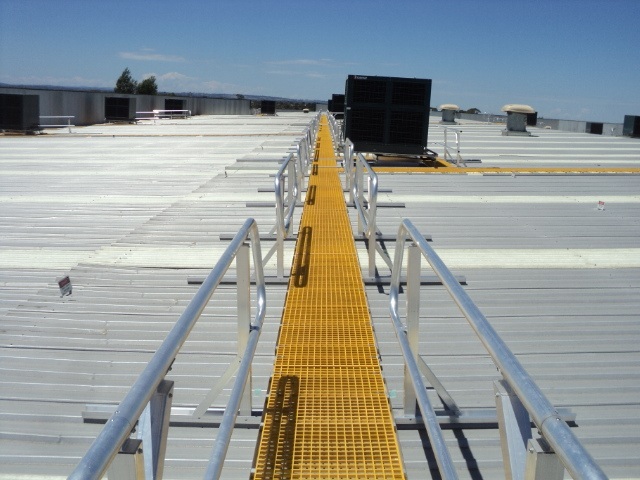 Access rooftop plant and equipment the simple, safe way with Defender fibreglass reinforced plastic (FRP) walkway systems. The support structures sit in the ‘super 6’ asbestos profile, with existing penetrations used for fastenings, rather than drilling extra holes into the asbestos. Air is monitored during the entire process to ensure asbestos fibres are not disturbed during installation. 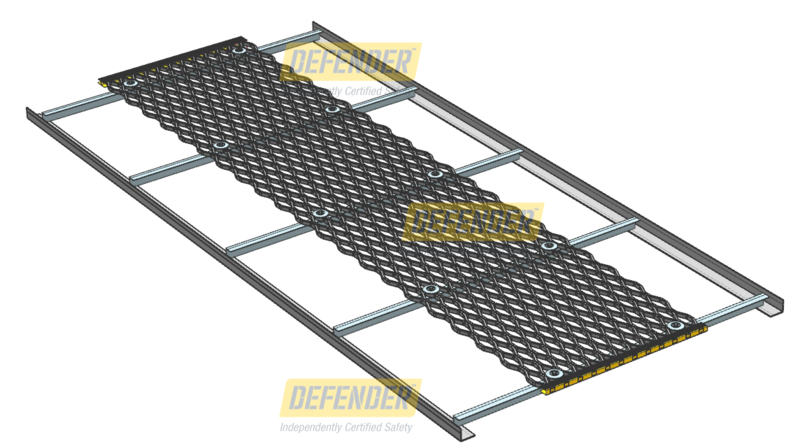 Defender™ walkways are easily installed on roofs with steep inclines, creating a safe path for employees and contractors to travel. If the pitch of the roof exceeds 7°, walkways are levelled in accordance with AS 1657. 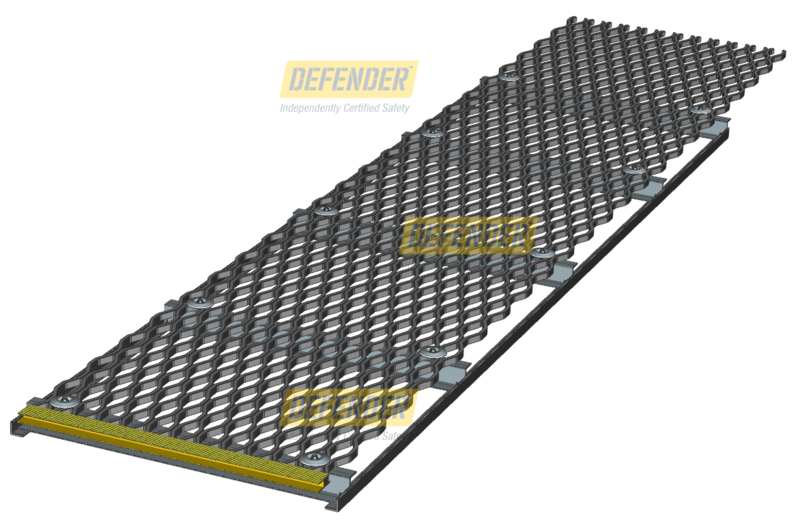 Defender™ walkways have been independently tested to meet the requirements of AS 4586 – 2013 Slip resistance classification of new pedestrian surface materials and have been to classified to meet the R10 slip resistance rating. 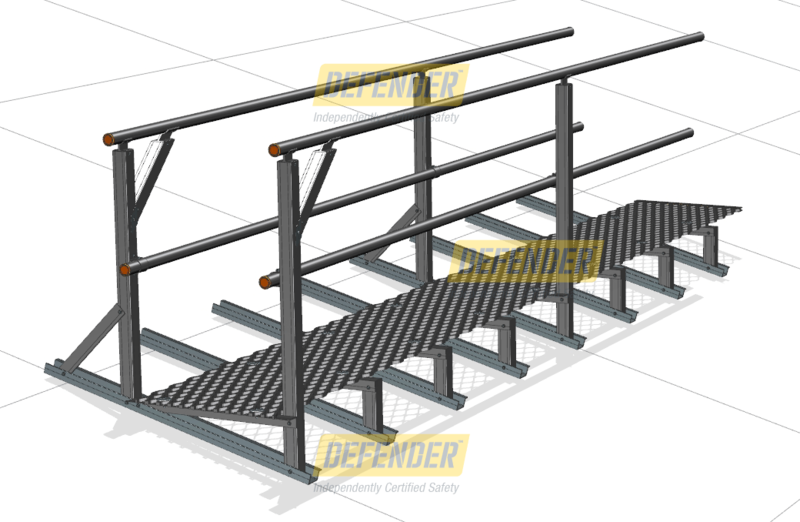 Are you ready for the revised AS1657 on walkways, ladders and platforms?